Two Jacksonville police officers fatally shot a man Tuesday at a Westside apartment complex after police said the man stuck a gun in one officer's chest, struggled with both, broke free, ran down a staircase and then turned toward the officers, who fired thinking he was still armed. Two white Jacksonville Sheriff's Office deputies killed Stallworth on May 12 after shooting him several times in the back. The police showed up at Planters Walk apartments to serve an eviction notice. They claimed that they thought Stallworth looked suspicious and got into a confrontation with him. As Stallworth ran away, both officers fired a combined six rounds, killing him. While police claim that Stallworth drew a gun on them during their initial interaction, many witnesses and facts contradict their story. For instance, the gun that police allege Stallworth possessed was found on the patio, while the gun's magazine was found some distance away at the base of the apartment stairs. At the vigil, Stallworth's family and their attorney, Eric S. Block, spoke briefly about the case. They emphasized that they saw serious contradictions in the police's narrative and that they would continue waging a struggle to win justice for Stallworth. 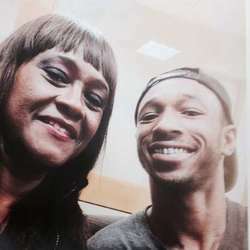 The Florida State Attorney's Office has ruled the May fatal shooting of D'Angelo Reyes Stallworth justified, clearing the use of deadly force by both Jacksonville Sheriff's Officers involved, according to a report released Friday, September 4, 2015.